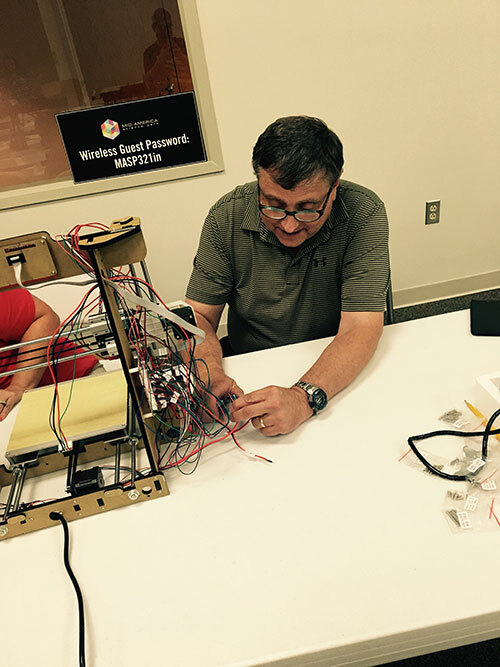 Brooke Hall, Sherry Fugate and Mr. Anderson at Mid-America Science Park putting together our 3-D Printer! They were trained on how to put it together and maintenance. This is an addition to the MakerSpace Initiative that is part of our Digital Learning Grant that we were awarded.